We believe “When you pay for insurance coverage, you should receive the amount you are entitled to after a loss.” Brian Pfister, President of Pfister Adjusting, Inc.
Below is a short list of previously settled claims, we have helped thousands of people so all of our claims cannot be represented here. We have withheld the names of the insureds for their privacy. We once settled a claim with an amount so high, the insurance carrier forced us to sign a non-discloser agreement as part of the settlement so we can’t advertise it. Building #1. 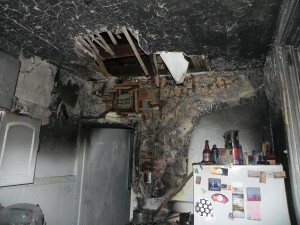 Fire – The insurance company had already estimated the damage and paid $87K. After we were hired we presented a check in the amount of 141K additional. Building #2 Water loss – The insurance company denied this claim and we reversed that decision and fought for $105,000 for their insured. Building #3 Ice damming – The insurance company adjuster saw $3,443 in damage, however there was $71,873 of damage to this location. Building # 4 Suffered a fire – Insurance company had already paid $37,000, after our services the insured received an additional $78,000 in damages caused by the fire. 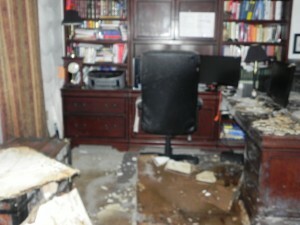 Building # 5 Water loss – the insurance company believed $6,300 would repair the damages. The insured received an additional $75,230! That brought the total to over eighty-one thousand dollars for a loss the insurance company thought would be only be six thousand three hundred dollars. If you believe your loss could be valued above what the insurance company paid, then contact us. Let us be the judge if you are entitled to more funding for your loss. You pay your premiums every year for your policy. Shouldn’t you receive what you pay for when you suffer a loss and collect the amount you are entitled. To transfer this idea to another aspect of life think of the following. Think of a simple trip to the supermarket, walking up and down the isles choosing your food. Then waiting in line and pay for your order. Could you imagine not taking your order home with you and leaving it with the supermarket to sell again? So with insurance you should receive ALL of the benefits your policy provides. Call our insurance adjuster so may review your claim. We will do the consultation for free.